The following is a detailed recount of the experience that I had job shadowing Jade King. Last year when I met up with stenographer extraordinaire Jade King, I wasn’t able to job shadow her as planned. Instead, we were able to partake in some productive discussions about steno: realtime work, professional versus student machines, finger spelling words, etc. It was the first time I met Jade and she had opened up my eyes to a lot that I didn’t know about in the steno world. Needless to say, the experience was memorable and I absorbed a lot of knowledge and wisdom from her. This March, I had the good fortune to visit Hong Kong again. Luck was on my side as not only was I able to successfully job shadow Jade, but it was for the Hong Kong Lamma boat inquiry. This public inquiry was brought forth by the Hong Kong Government after the tragic accident that occurred on October 1, 2012. Thirty-eight people died from a crash involving two passenger boats and it was regarded as one of the worst boat accidents in Hong Kong history. Whatever evidence and testimony was brought forth by the witnesses in the inquiry would bring about changes in the boating world to prevent further accidents of this nature from happening again. The last time there was an inquiry of this size was for the Titanic. To say the least, this was a HUGE deal! The Hong Kong media networks covered this inquiry extensively every day. Jade had been working on the inquiry since December, 2012 and the timing worked out perfectly that I was able to sit in on the final two days of the inquiry. One of the many signs that were posted along the steep hill that led up to the building where the Inquiry was held. On March 11, 2013, I took the MTR to meet Jade King at Central Station at 8:15 a.m. All of Hong Kong’s government buildings are located around the Central Station area and as you exit the station to the adjoining mall to the government buildings, you can see men and women in suits busying about. 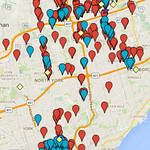 It is like the financial district of Toronto. 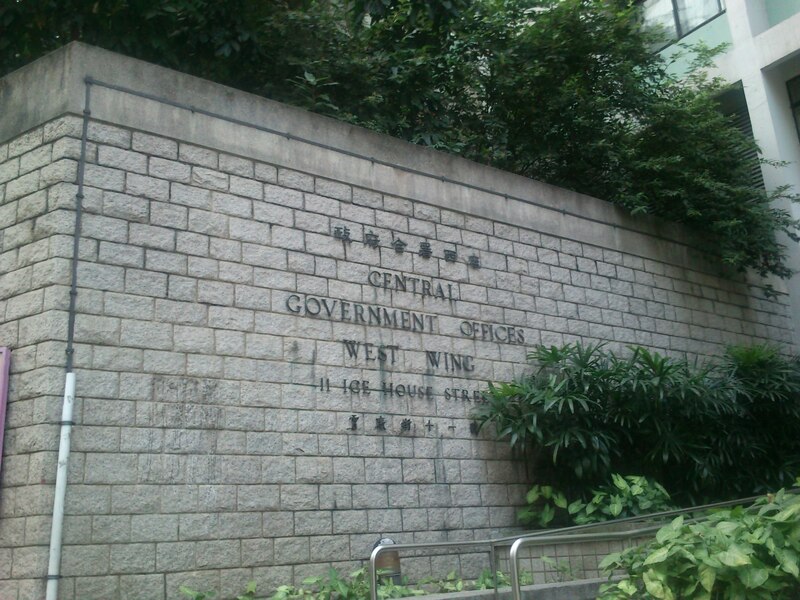 We walked up a steep hill to the West Wing of the Central Government Offices where the inquiry was held. Having followed Jade on her blog and her facebook page where she frequently comments about the cases she is covering, I remembered reading about the steep hill she has to trek up every morning and the media that camp outside the building. Indeed, they were there. The press were ready with cameras in hand to snap up any pictures of people that entered and left the building – just in case they turned out to be significant witnesses or lawyers. We entered the building and went up to the main floor where the counsel sat. The room was large and resembled a court room. I noticed there were rows and rows of desks and chairs with sophisticated-looking microphones and computers at each seat. The commissioners sat in the front row and the barristers sat in the second row. 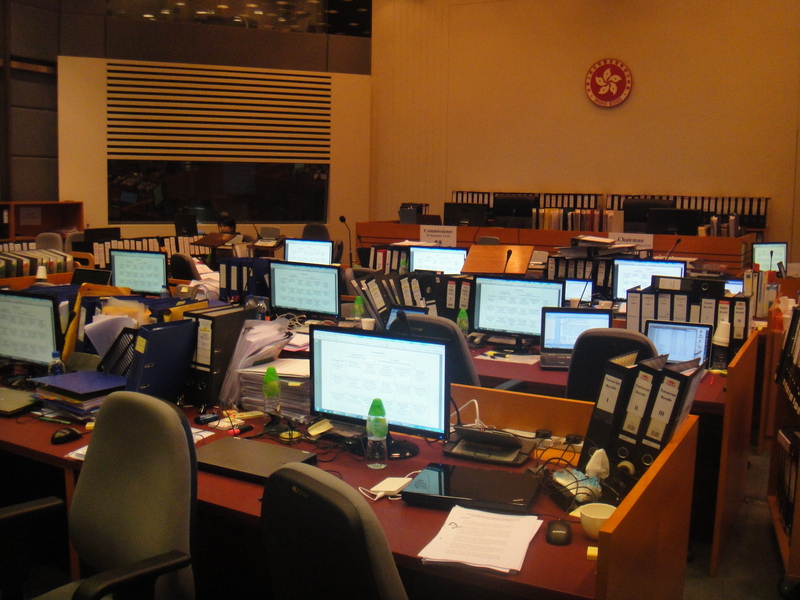 At the front of the room was a big desk where the Commissioner, Mr. Benjamin Tang, and Chairman, Mr. Justice Lunn sat. There were two large computer screens and also a video recording device in the room. There was an area designated for the press to sit in the right-hand side of the room while the left side was reserved for the witnesses’ family members. 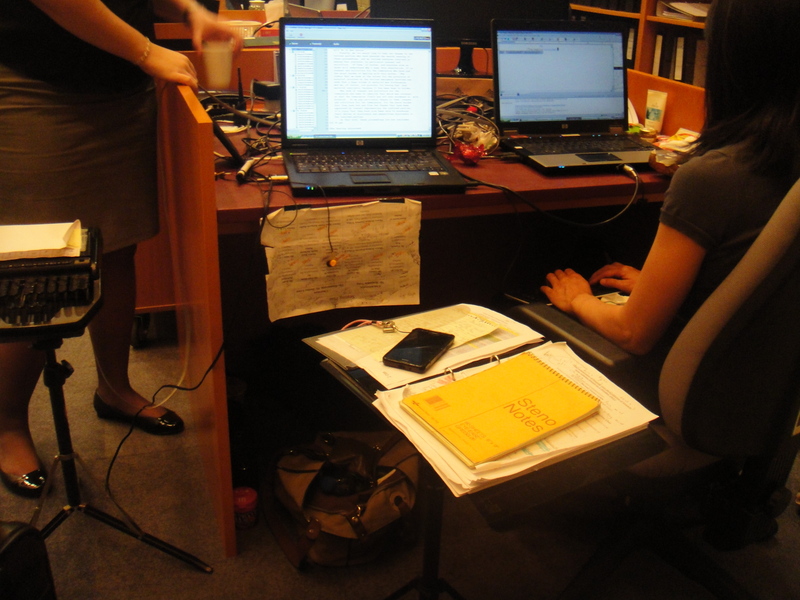 Jade and her editor (scopist), Kim, sat side by side to the right of the chairman’s desk. They were also right next to the witness box (which is completely unlike the ones in Toronto; it is furnished with a desk with a microphone and computer screen for LiveNote). I sat behind them and I was able to see the LiveNote screen that Jade’s writing was translated onto, as well as Kim’s computer screen which Jade’s steno machine was connected to. They use Eclipse software. There was also a bigger screen that showed the seating plan of the room and when documents were discussed, the pages were pulled up on the screen so that they could be referenced and seen by everyone. At the front of the room, there was a small model of the Lamma IV boat. I found this to be really neat and wish I took a picture of it. We were seated where the black and white windows were. When we arrived, Jade showed me her routine of setting up for the day. She would turn on her laptop and make sure that the audio recording for the room was working. She showed me her notes that she kept in a two-ring binder and small notepad that were full of names that she would sometimes refer to while stenoing. The tricky part about Asian surnames is that many of them are pronounced the same way, such as “Chen and Chan” or “Choi and Choy and Tsoi”, with only subtle differences in spelling. Jade has a binder full of these briefs and she said that there were so many witnesses in the inquiry that she even ran out of briefs to use for the names. And sometimes, she and Kim used the notepad to write essential notes to each other. From 9:30 a.m. onwards, I observed the lawyers and junior lawyers arriving. The lawyers had assistants (I guess you could call them lackeys) that delivered boxes and boxes of binders full of documents (they call them bundles) and stacked them on the shelves to the side. Usually, Jade arrives at 8:30 a.m. to go over any documentation from the previous day and to add entries into her dictionary for the day. Since I was shadowing her on the last days of the inquiry, she didn’t have to prepare for any new witnesses, and we sat in her “lunch room” to talk about realtime work and certifications. She said it was actually rare for her to be enjoying her breakfast that morning since she usually has so much to go over. At 10 a.m., there were three loud knocks on the door which signalled the entry of the Chairman and Commissioner. Just like we stand up for the judge in the Ontario courtrooms, everyone in the room stood up and bowed before sitting down. The closing submissions began. I sat behind Jade and Kim and watched everything closely, taking notes. Behind us, two simultaneous interpreters sat in a room with a glass window and translated everything that was said from English into Cantonese. The entire inquiry was held in English, which was what Jade stenoed. Attendees could request a headphone from the front desk if they wanted to listen to the inquiry in Cantonese. The interpreters took 15-minutes shifts each to translate what was being said. Out of curiosity and interest, I also borrowed one of the headphones to listen to. The headphones were connected to a radio that had four channels. In our inquiry, only three of them were used. 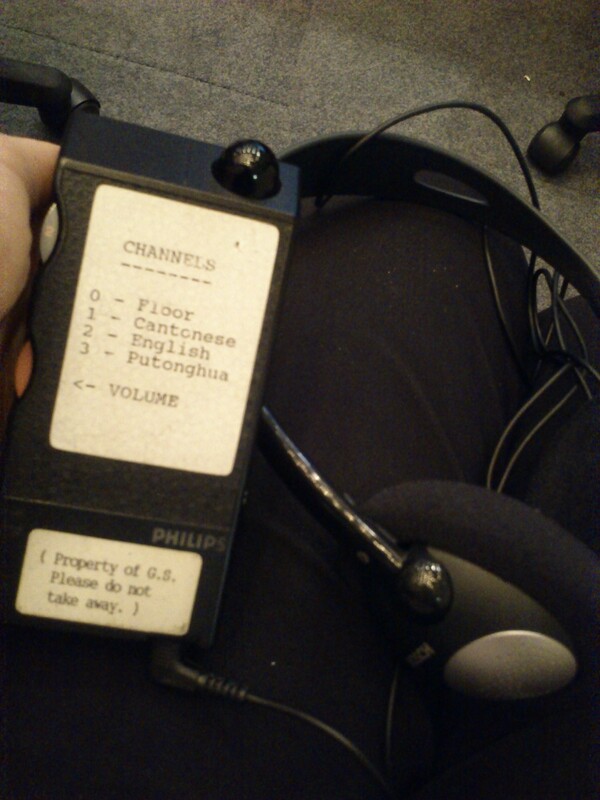 One was for the floor, one was the English channel, and one was the Cantonese channel. There weren’t any Mandarin speakers, but if there were, the fourth one would be for Mandarin. The English channel allowed you to listen to the speakers through their microphones; this meant that the speech was crystal clear to steno to. (Jade mentioned that it was the only audio recording in the room. Since she was listening to the audio recording through her headphones in realtime, if it ever failed or stopped working during the inquiry, she would immediately know. This meant that there was no need for two or three back-up audio recording devices.) When you changed the channel on the radio, you could hear the Cantonese translation by the interpreters. This was very neat to experience. The interpreters were very skilled at translating word for word what was being said from English to Cantonese. Cantonese is my first language, and I’ve since maintained the language and can speak it fluently. At one point, I adjusted down the volume of the Cantonese channel so that I could still hear the inquiry proceed in English to compare the translation. It was impeccable. Jade told me that, unlike stenographers, simultaneous interpreters need to be certified to work in Hong Kong. 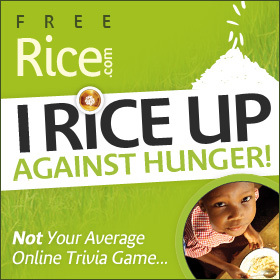 They earn up to $1,000 CAD per day for doing the work. It was a highly difficult job (much like steno!). However, Jade commented that just because an interpreter is certified, it doesn’t mean that he or she is good. Jade once worked with a certified interpreter who provided poor translations (translating “iron” as “steel” for example) and was later sacked for it. Similarly, just because a court reporter has certifications doesn’t mean that he or she can write realtime or do the job well. Jade is not certified but has performed realtime jobs for so many cases and captioned so many shows that her ability to steno accurately is undeniable. We actually talked a lot about this topic. This was my view during the inquiry. I sat behind Jade and Kim and watched them work. I’ll never forget how cool it was. Here you can see Kim continuing to furiously edit the transcript and trying to finish up for the day. As Jade stenoed, Kim cleaned up the transcript in realtime. Listening to the English audio recording on her headphones and with a small QWERTY keyboard that she placed on her lap, Kim used hot keys to manoeuvre through the transcript and fix up punctuation, quoted text, and dropped words. She barely had to use her mouse. As amazing and as inspiring it was to watch Jade steno the inquiry live – she was very accurate and had no untranslates – it was also amazing to watch Kim proof the transcript in real time. It was clear that Kim was experienced in editing; her fingers moved around the keyboard like lightning! I was so impressed. She edited so quickly that the windows would pop up on her screen and close before I was able to see what was on it, and then another one would open and close. She made changes to the transcript in this fashion without stopping. Even then, she was around 3-10 pages behind Jade. Editing in realtime meant that the transcript could be finished within an hour of the inquiry ending for the day. Kim had actually started out studying to be a court reporter, but progressed to 180 wpm and deemed herself to be not as fast as her peers so she decided to do scoping instead (I know what you’re thinking — when I heard that she was at 180, I said, “But 180 is already so good! You could have continued!”). In any case, since Kim has knowledge of steno, she can understand and edit for stenographers better than editors who do not have knowledge of steno outlines. Kim was also born in Hong Kong but moved to London, England to learn steno. She’s now worked in Hong Kong as an editor for eight years. We had two 20-minute breaks that day at 11:20 a.m. and 4 p.m. Lunch break was very generous, from 1-2:30 p.m. every day! The inquiry ended at 5:30 p.m. Jade and Kim stayed behind to finish off the transcript so that it could be sent to the Government for 6:30 p.m. Every day, the transcript is uploaded online so that the public can view it. 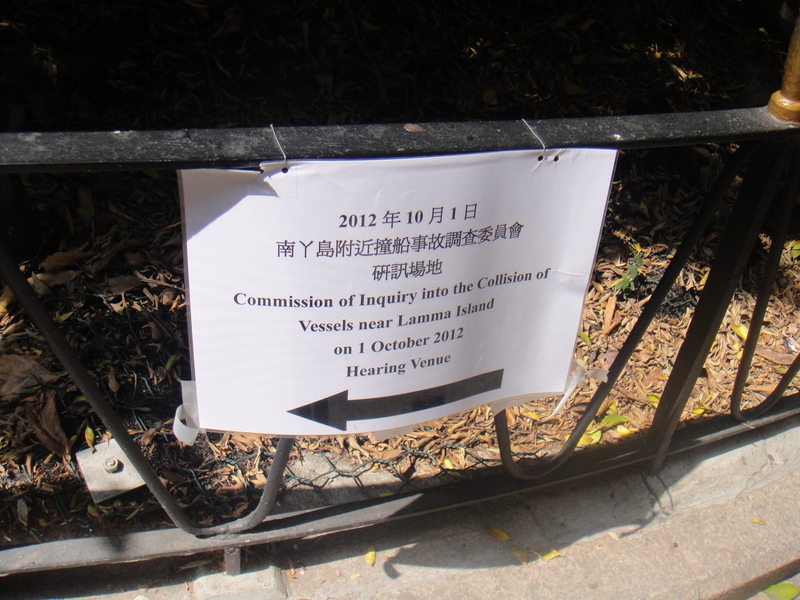 You can view all 50 days of the inquiry here: http://www.coi-lamma.gov.hk/eng/records.html. When stenoing, Jade marks off certain parts of the transcript that she wants Kim to check: passages from quoted documents or names. These annotations are marked in pink and only visible to Kim; whoever is viewing Jade’s LiveNote screen do not see these markings. While editing, Kim also marks off certain parts of the transcript that she wants Jade to double-check. It was truly a team effort. During that first day, I air stenoed the speakers and tried to catch up as much as I could. Sometimes, when it got too fast, I looked at Jade’s LiveNote screen and stenoed from her screen. It was good hard copy practice. Jade said that one of the counsel members spoke up to 300 wpm at times and that thankfully, that was the fastest he would go. I found watching Jade and Kim working together to be the most fascinating part of the day. It was also cool to see them communicate as Jade has an Australian accent and Kim has a British accent. Sometimes they spoke so fast that I really wasn’t sure what they were saying! 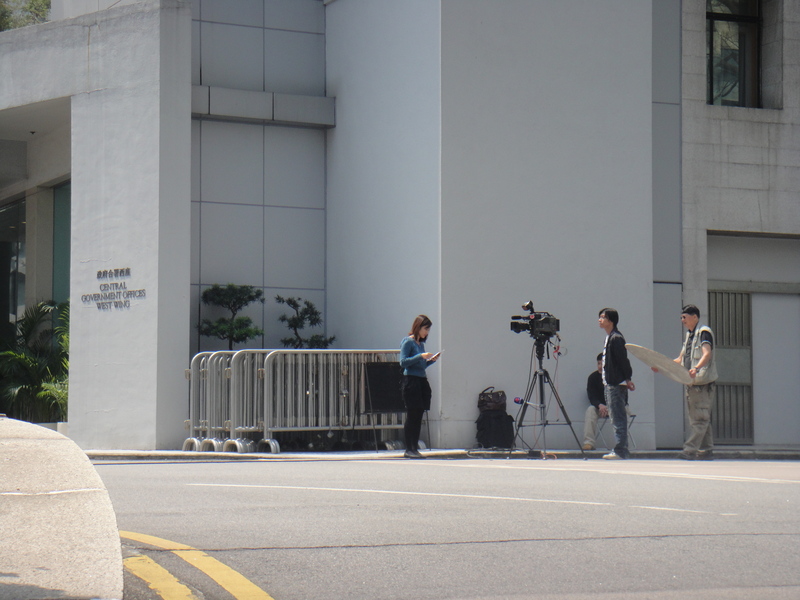 I snapped this picture of the media outside the building where the inquiry was being held. These were only a few of them! I still haven’t found or really looked to see if I’m in any of the ones where Mr. Mok was walking right in front of me lol. One of the highlights was when Mr. Johnny Mok – he’s a highly distinguished lawyer in Hong Kong – started off his closing submissions by thanking everyone in the room and gave special thanks to the court reporter and the interpreters. 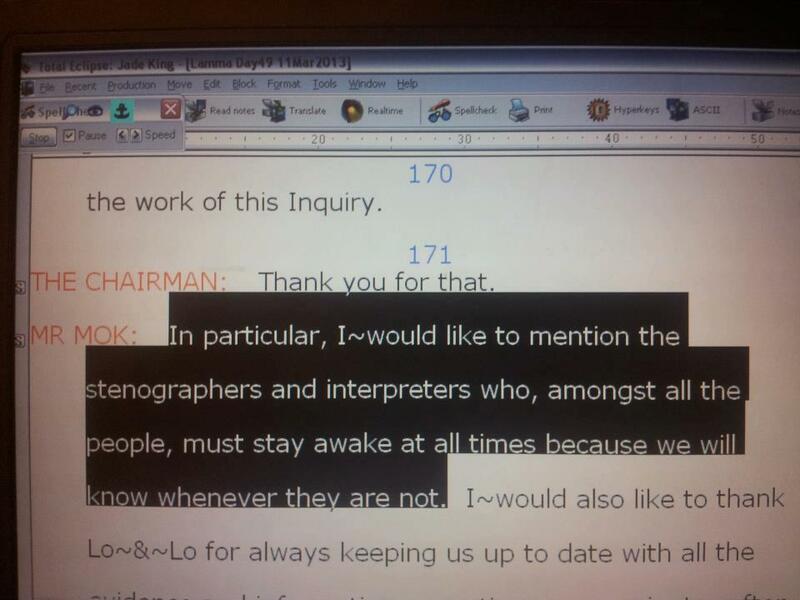 He said, “In particular, I would like to mention the stenographers and interpreters who, amongst all the people, must stay awake at all times because we will know whenever they are not.” I think the five of us were all quite pleased to hear that. In her edit that she later deleted, Kim put a smiley face after that line. It’s awesome to be appreciated for what you do! No wonder Mr. Mok was such a respected lawyer; he respected everyone around him too. By listening to him deliver his closing submissions, I could see why he was considered the best of the best. He was excellent at articulating his points with the greatest charisma and precision. Screen shot taken by Jade King. Mr. Mok’s words — thanking the court reporter and interpreters for their tireless and incredible work. How amazing it was to hear this live! As expected, Day 50 of the inquiry ended early at 12:30 p.m. I think there was a sigh of relief in the air for everyone that was involved. Jade told me that the week before, they had been rushing through the witnesses because they really wanted to wrap up the inquiry. There were a total of 78 pages that day compared to the 207 that was on Day 49. Happily, I only dropped around 10 pages. It was so nice to steno to the inquiry and see how much I could keep up with. 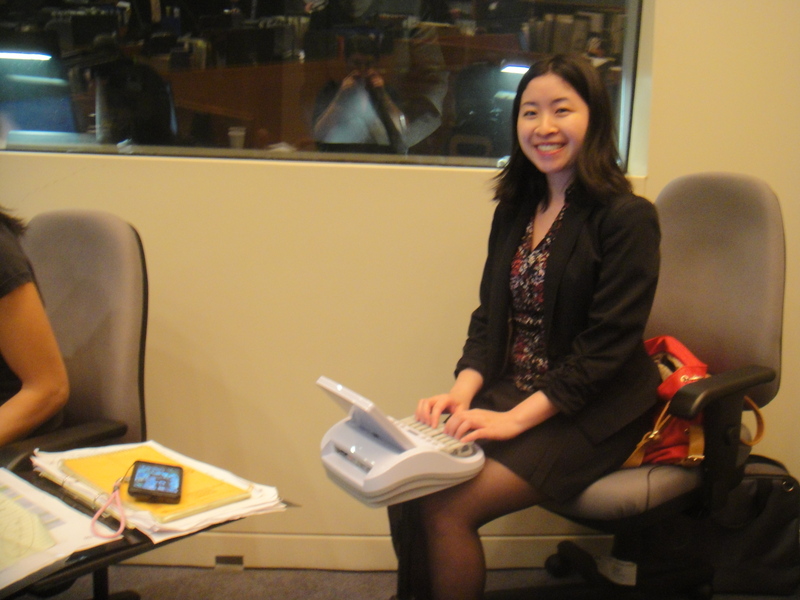 Being in that environment made me eager to practice on my steno machine even more to reach my realtime speeds. Thank you again, Jade, for giving me this opportunity to job shadow you. I’m so glad that it all worked out and I was able to experience the inquiry and gain valuable insight into all that went on. Jade took this picture of me. Behind me is the window where the simultaneous interpreters sat. During the inquiry, I would look behind me every so often and watch the interpreter’s mouth moving through the window as he or she interpreted everything from English to Cantonese. They took turns in 15-minute shifts and looked SO concentrated. It was fascinating to be in the middle of all the action. This entry was posted in Steno and tagged 300 wpm, accuracy, Cantonese, Central Government Offices, court reporting, Hong Kong, Jade King, Jade King court reporter, job shadowing, Lamma boat inquiry, new experiences, realtime, simutanious interpreters, steno, translation. Bookmark the permalink. 🙂 I love this post. Great times!